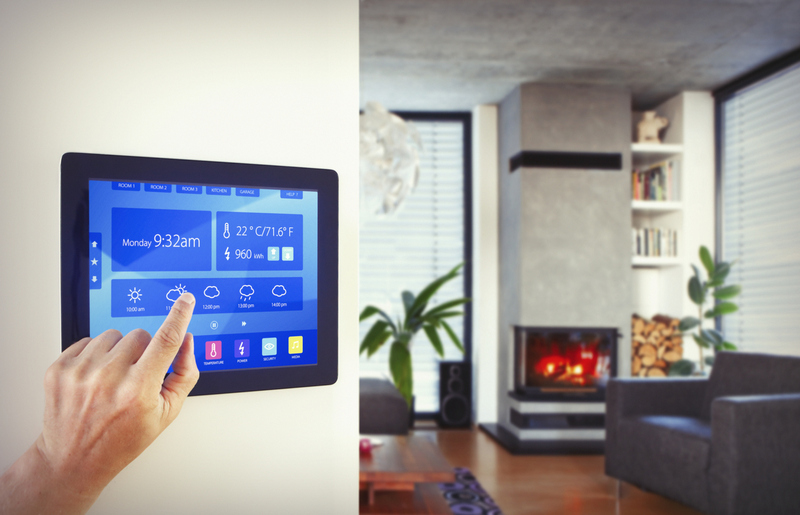 Is Upgrading to Smart Devices in Your Kirkland Single-Family Rentals Worth It? The market for a single-family rental home is going through many changes, most of which are there because of the influence of long-term renters. Like many people, from millennials to seniors, find themselves not able to or not willing to purchase a home nationwide, large numbers are turning to long-term rentals instead. The effect being, today’s renters bring with them specific expectations about the types of smart technology they want to be installed in single-family residences. There may be some tenants who want their landlords to have certain smart devices installed and ready for use, from high-speed internet to smart thermostats to security systems. But is it really worth upgrading your Kirkland rental homes to draw these renters in? The answer hinges on a few variables, from the location of your rental property to your desired return on the upfront costs. Smart devices have the potential to make a rental home more efficient, more secure, and more convenient. Rental homes that are smart technology-ready may attract a segment of potential renters. For instance, a smart thermostat can make managing heating and cooling costs much easier, reducing wear and tear on air conditioning units and furnaces as well as lowering utility bills. Adding sensors and cameras to doors and windows are a must for certain places where a perception of crime is a problem. It adds a sense of security and that may be the deciding factor for a potential renter who may otherwise be turned off by the location. Smart locks can make it easier for you to get into your rental homes when you need to. It also increases the security of new tenants during the transition period. No more changing the locks or emergency calls to a locksmith; you can simply change an access code to control who has access and who doesn’t. If your rental home is situated in a place where there is a large number of renters working or going to school, it might be wise to upgrade. Smart devices usually have a stronger appeal in these places, and you can reasonably increase how much you charge for rent to compensate for the upfront costs. Just like most things, there are advantages and disadvantages. Smart devices offer you so many good things, but at the same time, they also bring with them potential drawbacks. Perhaps the biggest issue property owners face with the prospect of doing a smart device upgrade is the cost. Most of the smart home technology devices are reasonably priced. Although they may not be expensive, there is enough incremental cost added to your rental home that it should be considered carefully before making a decision. Many devices work as a coordinated system, meaning you might not be able to do the job one upgrade at a time. Also, not all places can sustain the increased rent that you’ll be charging to regain your costs, so knowing your specific market for each rental home is important. A second concern is the reliability and speed of the Wi-Fi in your area, and administrative access, which they will need to look after. Many smart devices rely on wireless internet to function, and so if the signal is weak or drops, it may seriously interfere with the functioning of any smart device. In areas where geography or distance cause connectivity issues, smart devices might not be a good choice. They wouldn’t work the way they’re advertised and would just be an expensive waste. While a number of renters are drawn to smart home technologies, there is also a number of renters that are repelled by it— these people are usually concerned with their security. Many are suspicious of automation; we’ve all seen articles about someone’s digital devices being compromised and their personal privacy violated. While these events are rare, some potential renters would feel a lot safer if they avoided it altogether. They would prefer to look somewhere else for a place to rent. Ultimately, the decision to include smart devices when upgrading their Kirkland rental homes falls to the property owner. They need to be the one to examine and determine whether the cost of the upgrade is worth the value it brings. Such decisions need to involve good market data and detailed knowledge of a rental home’s area, both of which we at Real Property Management Eclipse can provide. With our experience and data tools, we can help you weigh the options to find out which, if any, smart devices would be a sound purchase for your rental homes. Feel free to contact us online or by phone at 425-209-0252. We’ll be glad to answer any of your questions and provide you with information about Real Property Management Eclipse.